We all have moments of thinking we should go to the gym or get fit and then that passes for any number of reasons. Stop sounding like a broken record and do it with the help of a personal trainer. They are your secret weapon, your friend, you path to feeling healthier, stronger or fitter. Working with a personal trainer really does help you to achieve your goals instead of just thinking about them! Higher levels of commitment – evidence shows that you stick to your sessions when you have a personal trainer working with you. You experience higher motivation – experienced personal trainers will know what motivates you and how to motivate you. Better results – working with a personal trainer can give you better results as they will work out a regime that suits your body type and build. Less effort! What? Yes, with a personal trainer they make sure you are carrying out your exercise technique correctly, using the right muscle sets. It is better to do 10 correct movements than 50 incorrect movements. Solo gym goer? Having a personal trainer with you can boost your confidence, give you some focus and you can even have some fun on the way. Timely – a personal trainer can fit with you and your schedule. Got an event coming up you want to get fit for? Simply just want to achieve a longer term goal? Either way a trainer can work with you. You can achieve more than you thought – people often report how much more they achieve when someone is working with them and giving them that extra push to ‘do one more’! Helps to prevent injuries – each personal trainer will show you how to use the gym equipment correctly and safely reducing strain or injury from incorrect use. Achieve your goals – your personal trainer will devise an exercise regime with you, using their experience and knowledge of what works and what doesn’t for what you want to achieve. Enjoy yourself! A good personal trainer will give you the right balance of pushing you while still enjoying yourself. Now for some that is being pushed hard and for others it is about encouragement and motivation. 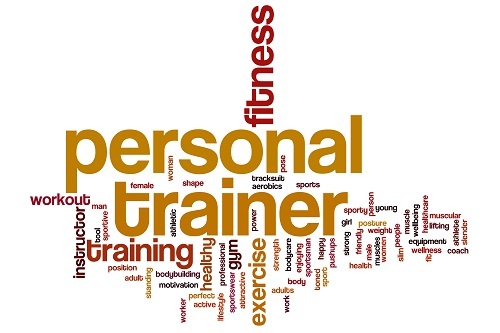 Book Sileby Personal Trainer Today! Pick up the phone today and call 01509 815490 or use our contact us form to start your personal training sessions this week! If you are a couple or a couple of friends we can support two of you in one session. If you are solo then we offer one to one sessions as well. We are welcoming, friendly and want you to achieve your best. Any questions, worries, thoughts then give us a call or drop in and see us at our Sileby gym. This entry was posted in Fitness on 20th February 2016 by William Middleton.